Research materials are vital to improving your trading, and the more easily accessible the materials are, the better off you will be. This is an easy reason why ebooks are such a great tool. There are so many things that you need to know in order to be a successful and profitable short term trader, and wasting time is never going to help you here. When your materials are all right on your computer or tablet, you can instantly pull them up and have everything you need to know, literally right at your finger tips. One such instance where this becomes necessary is for recognizing chart patterns. If you’ve ever studied candlestick charts, you know that there are certain patterns that come up on a recurring basis, and often times the same result happens every time. Having a digital resource where you can look these patterns up along with their predicted outcome is an invaluable resource. And if you have a properly formatted ebook that you are doing this on, your information will be obtained even faster when you use the search feature or a hyperlinked index. These are tools that you will not ever find in a traditional print book simply because paper doesn’t have computerized technology. Rather than scrolling through pages of material to find a certain diagram or paragraph, you just need to type in what you’re looking for and select the link of your choice. Your computer will instantly take you to where you want to be. This avoids a lot of time wasting flipping through pages and gives you instantaneous access to the info you need right when you need it. Price chart patterns are very important if you are using candlestick charts. A lot of software exists that will automatically interpret charts for you–MetaTrader4 does this–but that is limited as far as predictive power goes. For example, MT4 can look at a MACD analysis for you over various lengths of time, but it can’t look at a simple candlestick pattern, like a hanging man doji, for example. Furthermore, even the most advanced software right now cannot tell you what these patterns yet indicate. For this, the human eye is much better at recognizing these things. But the human brain doesn’t have the capacity for recall that a computer does. But this shouldn’t limit you much because if you are sitting in front of your computer, you can just use that to look things up. This is why online and digital research materials are so great, you can find what you need much quicker. Digital resources are cheap, too. 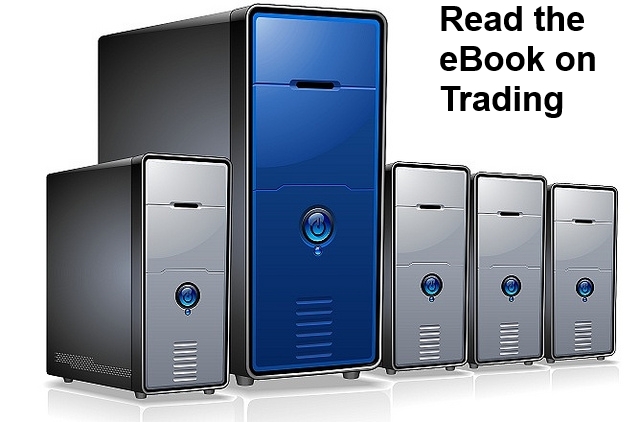 A reference ebook full of candlestick patterns likely cost thousands of dollars less to produce than a print book. So your charge will be much less. It’s actually mutually beneficial. The publisher can make much more money by charging less. This is great for Forex traders, especially, where conditions can be very time sensitive. Mainly because of the fact that, not only can publishers make more money, but they can do it in a far faster amount of time. Binary options traders also benefit here since currencies are so widely traded through these. And candlestick charts apply to these much more strongly than any other type of trading because these are typically the two trading marketplaces that offer the shortest timeframes for making a decent amount of money.